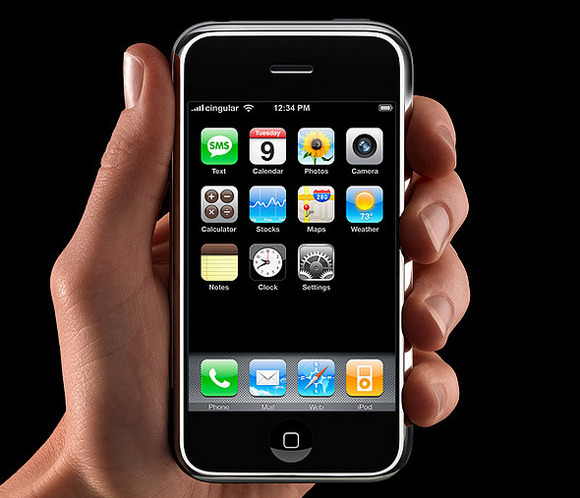 Eight years ago today, Steve Jobs introduced the iPhone at Macworld Expo, and I was there. I was managing editor at Mac|Life at the time, and it was only my second Steve Jobs keynote. I even took notes on paper, with a pen, since we weren't live-blogging—and for the record, those notes prove that I absolutely fell, hook, line and sinker, for Steve's ruse about the iPhone being three products, an iPod, a phone, and an Internet communicator. I still remember the giddy sense of excitement that rippled through Moscone as he demonstrated the new device (the call to Starbucks was especially delightful), like it just happened yesterday. Eight years isn't a long time in the grand scheme of things, but the iPhone has made such a huge impact on my life that it's hard to remember the time before it. Enjoy the video above, and let us know your first iPhone memories in the comments. Thanks again, Steve Jobs, wherever you are.